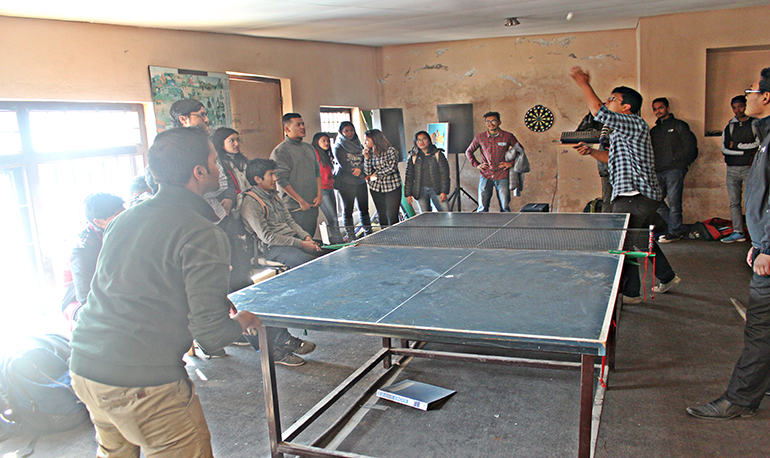 A Table Tennis Tournament was organized by the KCM Sports Club on 12th December 2016, to build up Sportsmanship in the Students of Kathmandu College of Management. There were over 25 participants including both girls and boys. The tournament were conducted separately for the boys and girls team for few days in the council sports room. The competition quiet intense as every particition showed equally recommendable dedication towards the game. Finally, with a tough competition Ms. Shreya Karki form girls segment and Mr. Iman Shrestha from Boys Segment won the tournament.